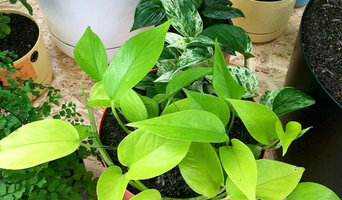 Noraville Green is a boutique plant shop, we hold a unique range of Indoor Plants, Shade Plants, Hanging Plants, Tropical Plants and Ornamental grasses. If we don't have what you're after, we can source it for you! We stock the full selection of Mr. Kilty x Decor Self Watering Pots. Choose a plant, pick a pot and we'll put it together for you while you wait! We supply Dwarf (Mini) Mondo Grass and Korean No Mow Grass Australia-Wide. Whilst searching high & low for particular Garden Products to enhance our own backyard, we quickly discovered that it wasn't that easy to find the more unusual or exotic types of items. Korean Grass (Zoysia tenuifolia) Dwarf Mini Mondo Grass (Ophiopogon Japonicus Nanus) Because of the difficulties that we encountered when trying to source these items, we thought we would see if there was maybe a niche market out there. After a few sale test runs, we discovered almost immediately that there was indeed a market for our products. So, after more research and a Certificate 4 Business Course, here we are. We are here to cater to the ever increasing demand from home proud Aussies for Garden products that are not only Attractive, but are also Low Maintenance, Drought Tolerant and relatively inexpensive. Too often we visited Nurseries and Exotic Garden retailers only to come away disillusioned by the lack of choice and exorbitant prices. So have a look around our site and see if any of our products might suit your garden. Multi - award winning garden centre. Large range of quality landscape and garden supplies to all areas of the Central Coast NSW and Lake Macquarie. Retaining wall blocks and pavers, sands, soils, gravel, mulch, decorative pebbles, timber, treated pine delivered 7 days to all suburbs of the Gosford and Wyong and Lake Macquarie Regions. Huge range of quality lush and exotic plants from rare and collectibles, seedlings to advanced trees, natives and citrus. Large range of water features and garden statues, pots and ornaments displayed throughout meandering wheel chair friendly paths. For all your garden ideas and inspiration visit Wyee Nursery. Relax and enjoy a tasty treat in the outdoor garden cafe and browse through the gift shop for a unique gift for someone special. Most of the professionals in this category specialise in particular garden and landscape supplies for your outdoor space, from planter boxes to water features. If you’re undergoing an upgrade, they are an invaluable source of knowledge and expertise. A Newcastle, New South Wales professional who specialises in garden pots and planters, for example, will not only have a broad range of product available, but will know their terracotta, ceramic and concrete pots inside-out – and which one will best work for you!